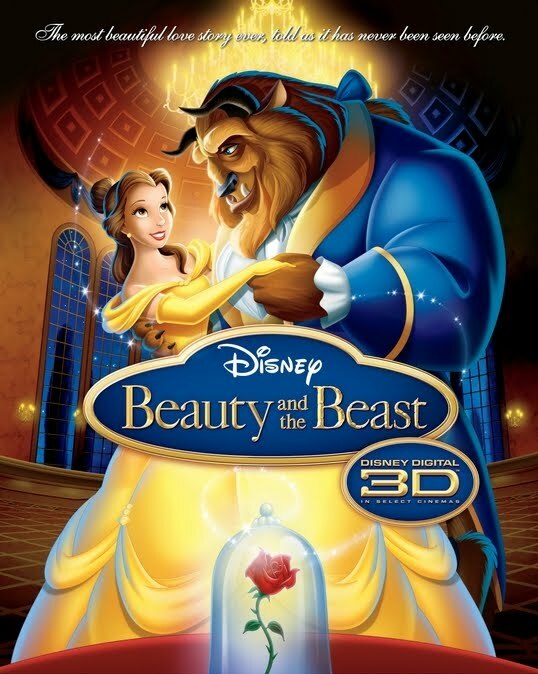 When we were little kids, the first movie that both Brian and I saw in the theater was Beauty and the Beast. So when I heard that Beauty and the Beast was in theaters again for a limited time, I knew that it would be so fun to take Kenley to see it! She was really excited to go to a movie with just Mommy and Daddy. 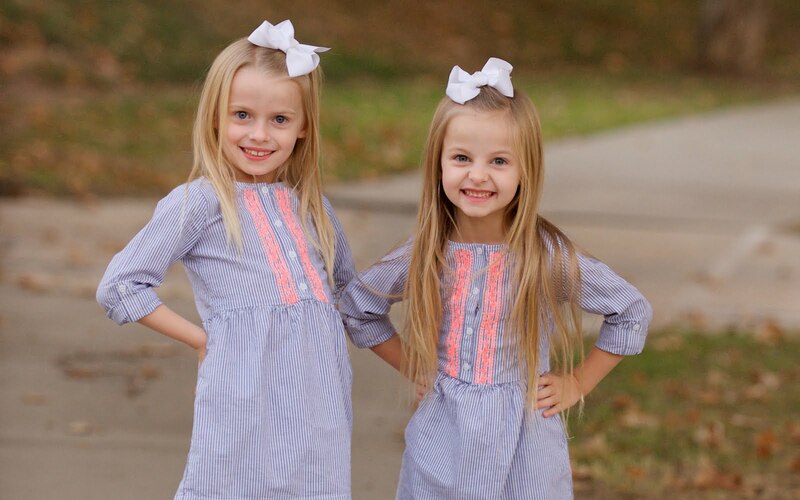 Even though the girls are young we are really learning how important it is to set aside special alone time with each girl. The movie is in 3D so we had to wear glasses the whole movie. Kenley was not crazy about this at first because it was confusing to her. Eventually she gave up trying to take them off and just left them on. 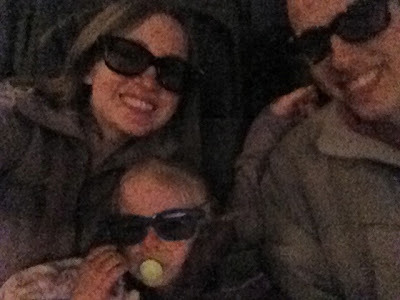 I think she would have enjoyed it more if it wasn't a 3D movie just because it isn't something she is used to. 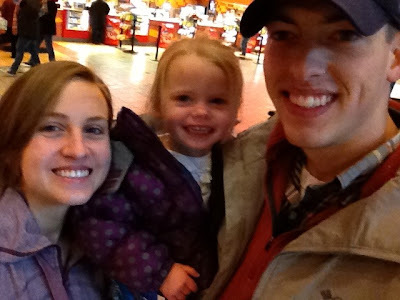 We had so much fun at the movie! 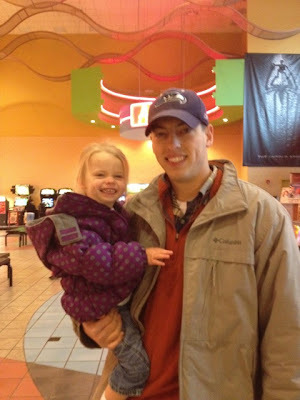 I loved watching her watch the movie and I loved watching Brian watch Kenley watch the movie! We looked over at each other so many times and just smiled because it was so sweet to watch her! At the beginning of the movie there was a Tangled short that was also really cute! We watch Tangled at least once a week so we all really liked the short!